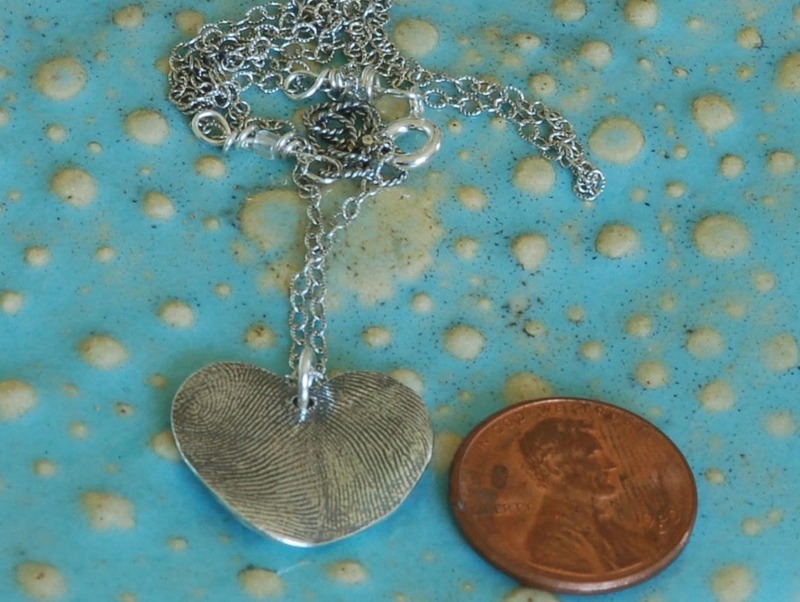 A heart shaped pendant is created by the impression of a brother and sister, sister and sister, etc. 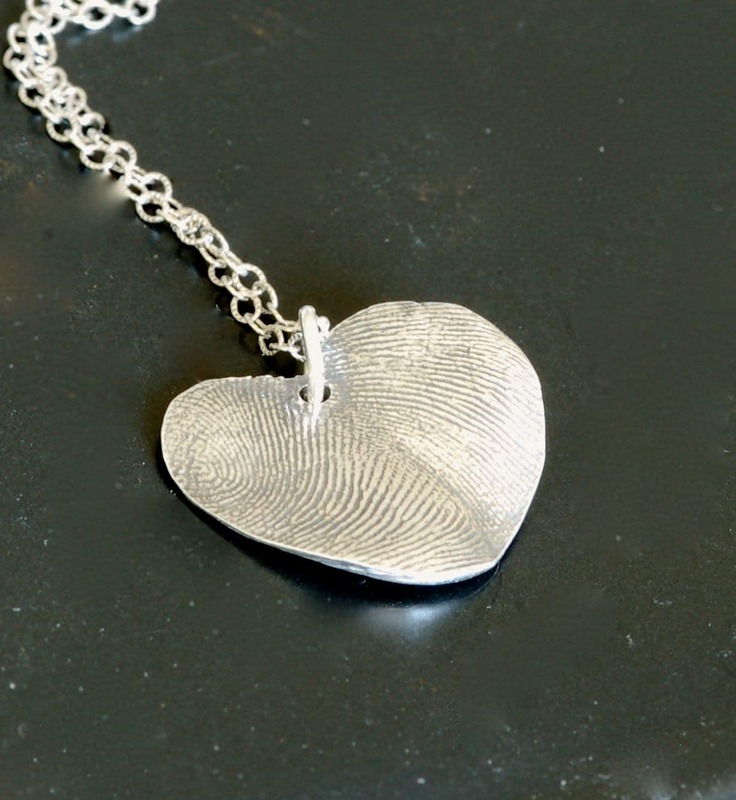 A very precious gift for a loved one. 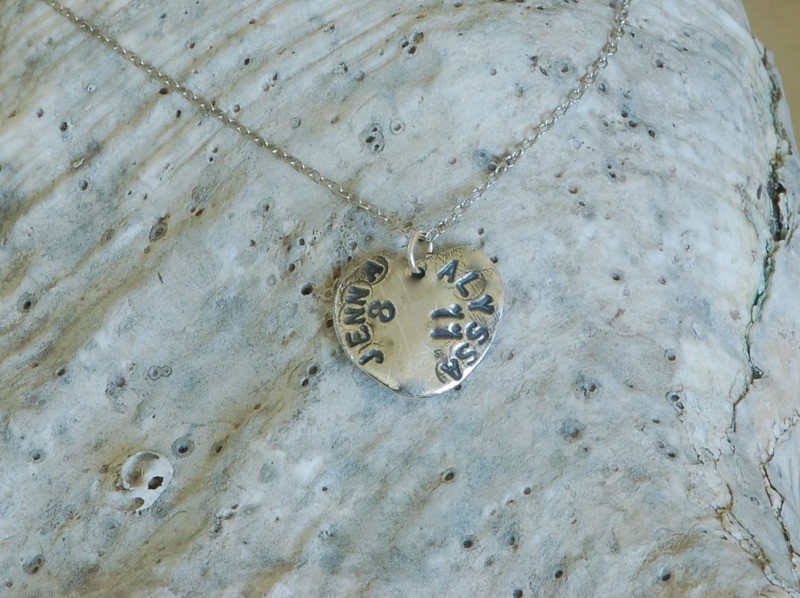 The names and ages are stamped on the back of the heart. 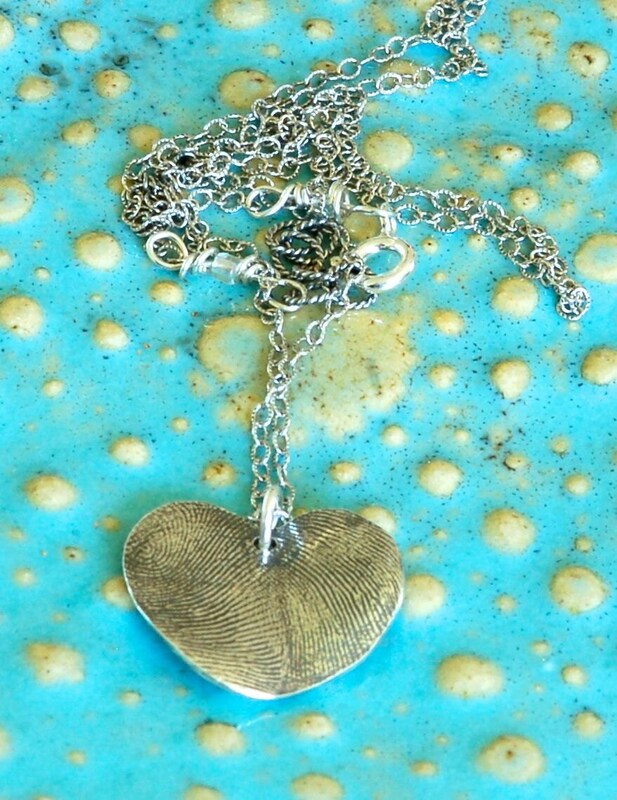 The heart is made from fine silver. The sterling silver chain is 16 inches long with an extension to lengthen up t0 17 inches. Please convo me if you would like a longer chain for a small additional cost. I will send you the mold material first...you create the mold and send it back to me. Then I will make the charm and send it back to you! 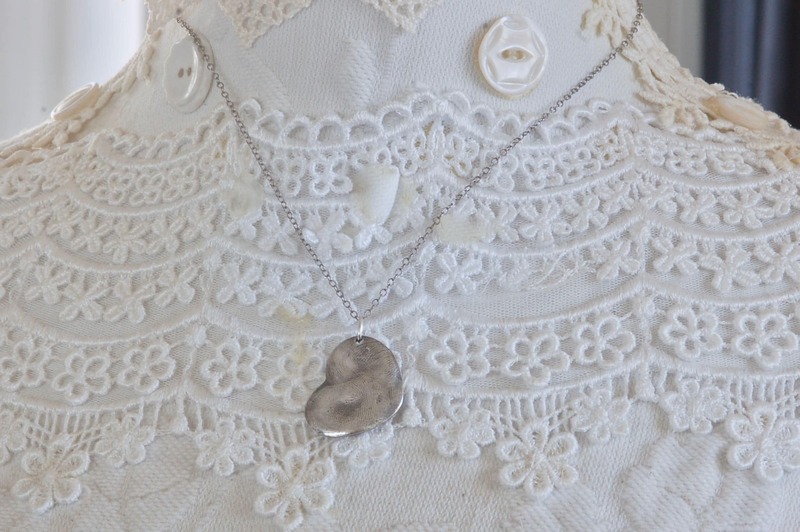 A very special gift idea!! !